Origin It is indigenous to Mexico, South America, South Africa and India. It is originated from an Island of Madagascar. Vanilla was firstly cultivated by the Totonac people that live in East coast of Mexico. Vanilla essential oil is derived from the fermented Vanilla beans by solvent extraction method. This essential oil has warm, sweet, comforting and complex aroma. Vanilla plant bears Vanilla Planifolia as its scientific name. It has several names such as Common vanilla, Mexican, Reunion vanilla and Bourbon. It possess the vital components such as Capric Acid, Acetic Acid, Furfural, Eugenol, Vanillin Hudroxybenzaldehyde and Isobutyric Acid. Vanilla essential oil possesses aphrodisiac, antioxidant, febrifuge, anti-carcinogenic, sedative, anti-depressant, tranquilizing, sedative and relaxing properties. It is indigenous to Mexico, South America, South Africa and India. It is originated from an Island of Madagascar. Vanilla was firstly cultivated by the Totonac people that live in East coast of Mexico. Chocolate and Vanilla was introduced by Hernan Cortes in 1520s to Europe. The Cortes officers saw him consuming beverage of chocolate which was made with ground corn, cocoa powder flavored with honey and ground vanilla pods. The people of Spain also tried his drink and were quite impressed with it. It was popular by 1700 through Mexico. Vanilla essential oil helps to eliminate free radicals that cause infections and organic malfunctions. It is responsible for the oxidation of living tissues and cells and change DNA structure to cancerous cells. It causes loss of memory, weaken immune system, nervous malfunction, loss of hearing and vision, macular degeneration, mental instability and prone to diseases. It possess an antioxidant properties that helps to neutralize free radicals and prevents from wear and tear, cancer, infections. Vanilla essential oil is helpful for the people with erectile dysfunction, impotence, loss of libido and frigidity. It stimulates the hormone secretion such as estrogen and testosterone which promotes sexual arousal and normal sexual behavior. Vanilla essential oil possesses anticarcinogenic properties. Free radicals are the cause for tissue damage, cancers of colon or prostrate. This oil prevents the cancer cell growth and also slows down the process of cancer. This essential oil counteracts infection and lower fevers. The components such as Vanillin Hydroxybenzaldehyde and Eugenol help to counteract infections. It has a sedative properties that helps to lower fever as well as inflammation in the body. The aroma of Vanilla essential oil helps to enhance mood. 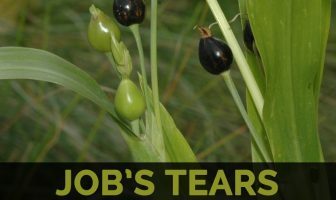 It has Hydroxybenzaldehyde that helps to uplift the mood and acts as an antidepressant. 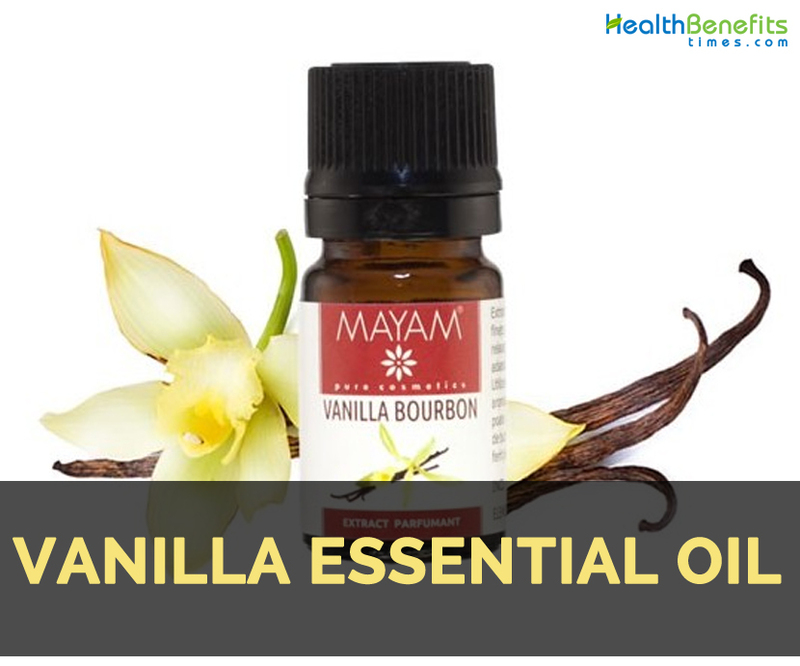 Vanilla essential oil soothes bodily inflammation and hyperactivity in systems such as circulatory, respiratory, nervous, digestive and excretory systems. It lowers inflammation caused due to fever, anxiety, convulsions, hypersensitivity to allergens and stress. Vanilla essential oil provides a calming and relaxing effect on brain as well as nerves. It also provides relief from restlessness, anger and anxiety. Vanilla essential oil possesses relaxing and sedative properties that provides a tranquilizing effect on brain and also lowers blood pressure. Massage with the infusion of vanilla oil (10 drops) to the feet, neck, stomach and chest in order to relax mind and body. It provides relief from PMS cramps, muscle aches and anxiety. Inhalation of 3 to 5 drops of Vanilla oil or adds 5 to 10 drops of oil to warm water for improving sleep. About 2 to 3 drops of oil could be added to the lotion or face wash that helps to promote skin health. The burns and wounds could be soothed by rubbing 2 to 3 drops of Vanilla oil to the affected area. It is used to lower stress by promoting relaxation. The fatigue, stress and anxiety could be relieved by adding few drops of Vanilla essential oil to the bath water. For healthy and shiny hair, add few drops of essential oil to the shampoo. The acne could be cured by wiping the affected area by adding vanilla essential oil to the cotton ball. It is helpful for the patients with high blood pressure, anxiety and loss of libido. Do not use on sensitive areas such as ears, eyes etc. Consult with a health practitioner for use. Vanilla essential oil blends well with Lemon, Orange, Jojoba, Neroli, Lavender, Chamomile and Sandalwood. Native It is indigenous to Mexico, South America, South Africa and India. It is originated from an Island of Madagascar. Vanilla was firstly cultivated by the Totonac people that live in East coast of Mexico. It relief PMS cramps, muscle aches and anxiety. Its inhalation helps to improve sleep. Rub with this essential oil to soothe the burns and wounds. Relieve fatigue, stress and anxiety by adding essential oil to the bath water. Add few drops of essential oil to the shampoo for maintaining hair health. It is also used to lower acne. It prevents infection and lowers inflammation. It prevents the cancer cell growth. It provides relief from cramps and muscle pain. It is useful for the people with high blood pressure, anxiety and loss of libido. Avoid using on ears, eyes and sensitive areas of the body. One should consult doctor for use. Other Facts It blends well with Lemon, Orange, Jojoba, Neroli, Lavender, Chamomile and Sandalwood.